Jumping mat for round 3.60 m trampoline with 80 springs of 230 mm. 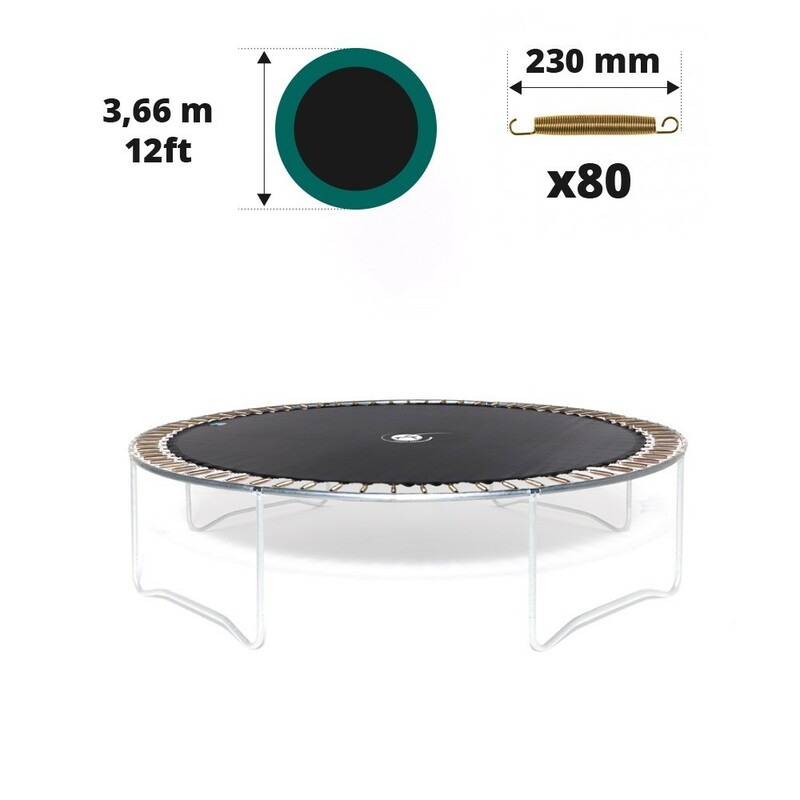 This product will allow you to replace the old jumping pad on your round trampoline of 3.66 m in diameter with 80 springs of 230 mm in length. 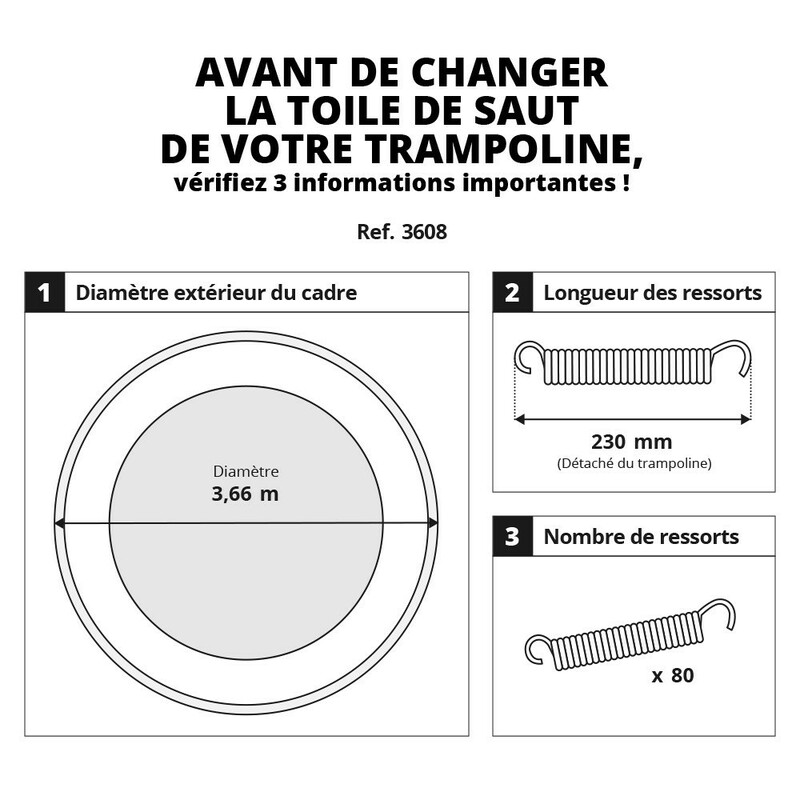 You will also be able to use this product on any other trampoline with the same characteristics, even if it is not a France Trampoline product. 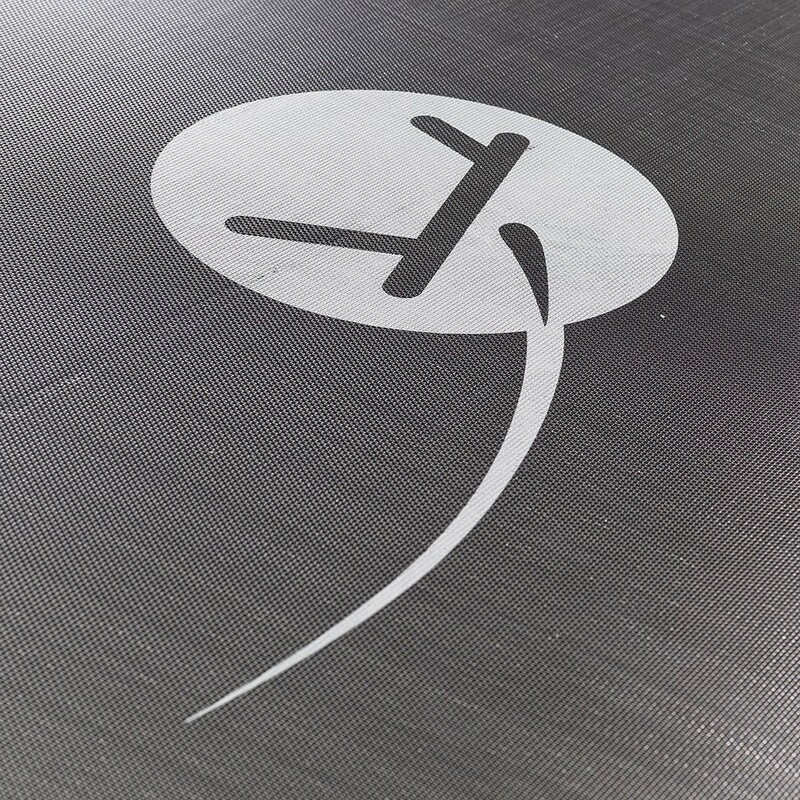 We guarantee a solid and shock-resistant jumping mat. 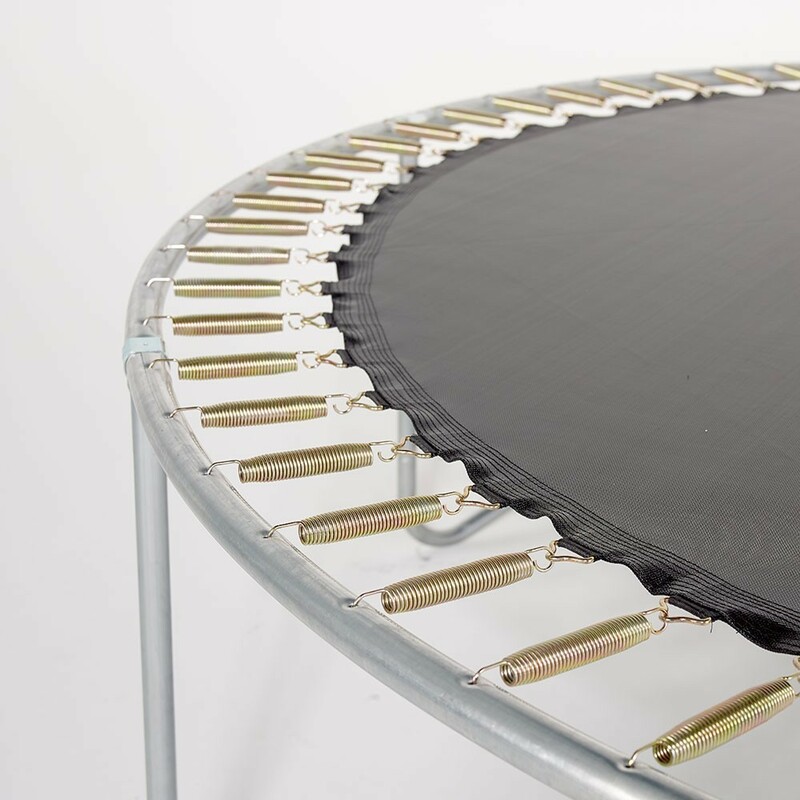 - This jumping mat can be used on any round trampoline of 3.66 m in diameter with 80 springs of 230 mm in length, such as the Booster 360. We recommend measuring the exterior diameter of your trampoline, by asking a second person to help you. - This product has been designed using a mesh fabric which is highly tear and weather-resistant. It is also very durable as it has been UV protected protecting it from the sun. - Each spring sits in a hot-dip galvanised triangular ring which is placed in a strap. 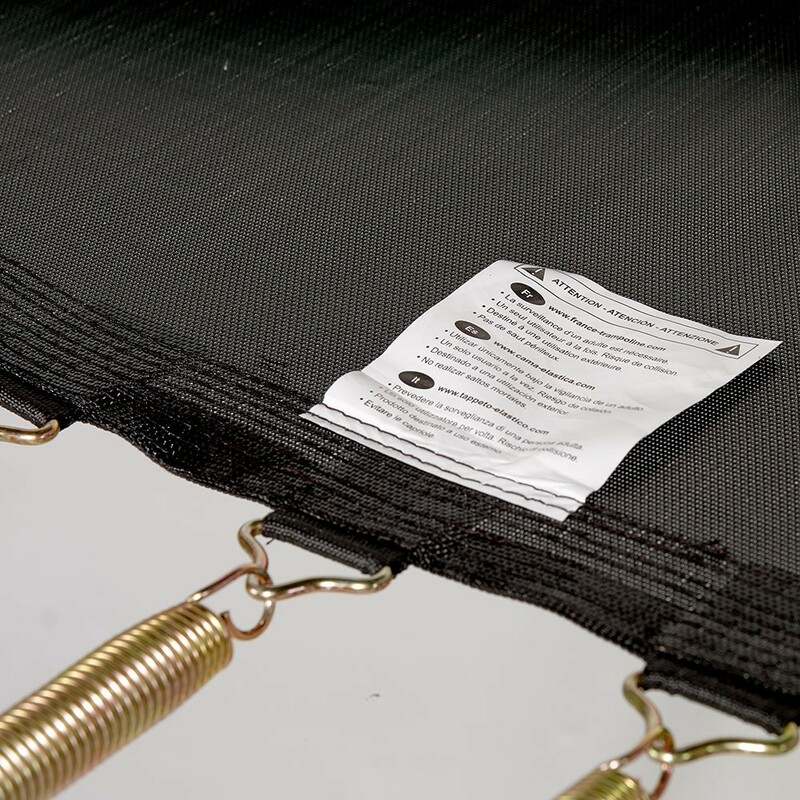 This strap is stitched to the jumping pad using 8 rows of stitching and a strengthening strip. 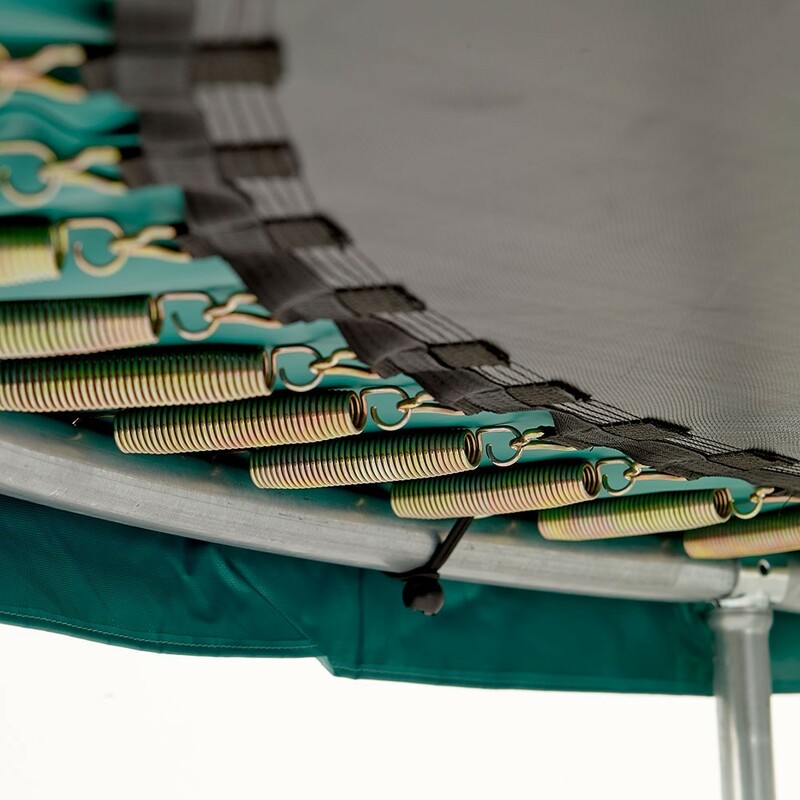 - This spare part has been designed for trampolines with 80 springs of 230 mm in length. 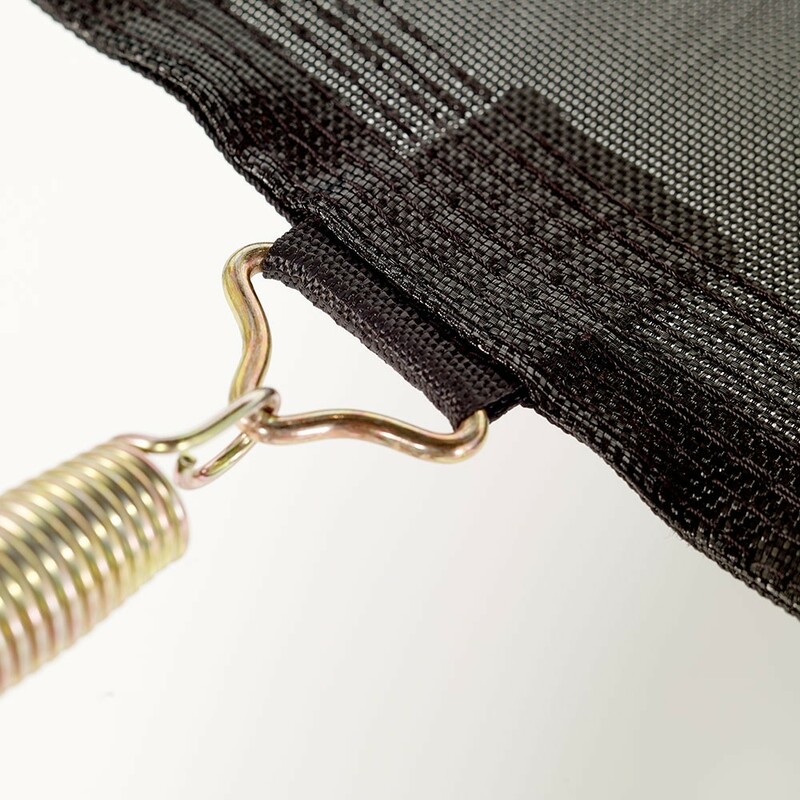 If your springs measure 210 mm and less or 240 mm and more, other jumping mats are available. We highly recommend measuring the length of your springs before buying your new jumping pad. To measure them precisely, please remove a spring from the framework and measure it from hook to hook, once it has regained its original shape.